Are you ready for summer? 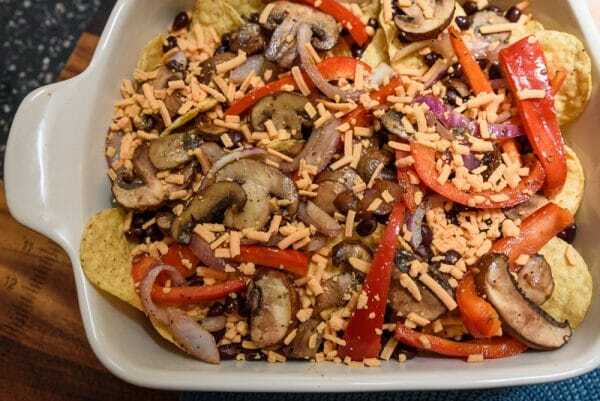 The Ultimate Loaded Vegan Nachos are the perfect shareable snack for your next summer cookout. 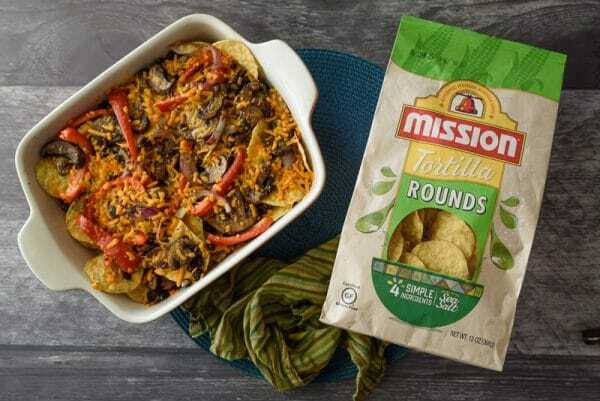 Mission® Rounds Tortilla Chips are smothered in black beans, grilled veggies, and dairy-free cheese. And then topped off with an incredible vegan cilantro-lime sour cream and homemade guacamole. My absolute favorite thing to do in the summertime is hang by the pool and grill. It’s one of the things I missed most when we moved away from Florida, and one of the things I appreciate most about being back. On most weekends, our house ends up being the hang out station for our friends and all their kids. The pool is nearly always full with an army of toddlers in floaties. The patio ends up covered in toys that I didn’t even know we had. And I find popsicle sticks in weird places for days. And I’m not complaining – I truly love it. 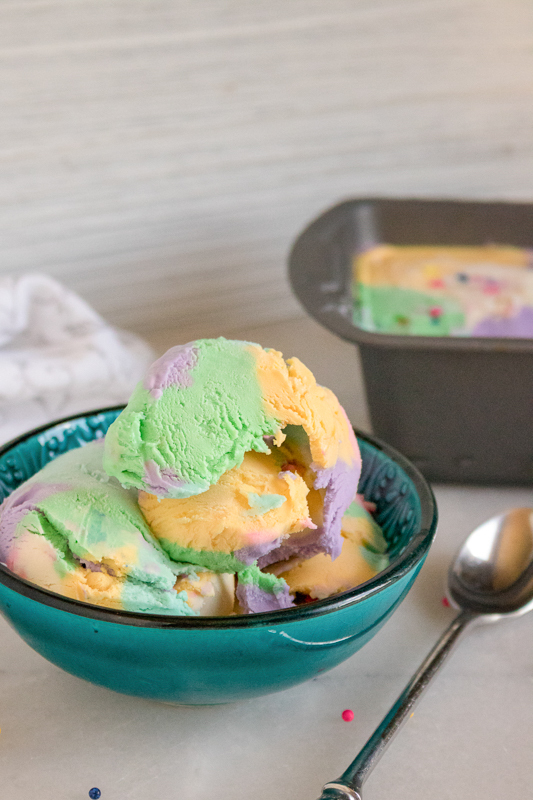 So when Mission® reached out and asked me to create a new recipe, perfect for summer celebrations, I couldn’t resist! This past weekend, we invited the crew over for a last minute pool party. We almost didn’t do it. My house was a complete disaster. I’m talking laundry hanging off the dining chairs and buckets full of Legos dumped out on the carpet. But luckily – my friends don’t come for my housekeeping skills. They come to talk, swim, and eat great food! 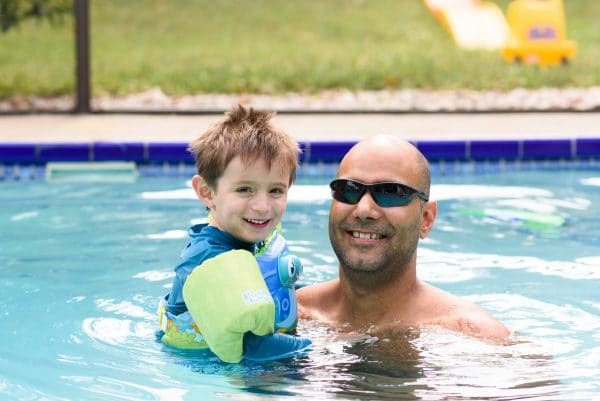 This is my husband and my little guy enjoying the festivities- aren’t they the cutest? I’m so glad we forged ahead, despite the chaos of the house. Everyone dodged the mess, without even a snarky comment, and headed out back in search of food. And I surprised them this time with a huge tray of vegan nachos! Not your typical grill-out food, right? But it was just perfect. I love serving family-style food that everyone can share. With finger foods like nachos, everyone hangs close by the food table, which means more time to chat and catch up with friends. And what food could be better for sharing than nachos? Vegan Nachos need the perfect chip! Before we get into the nacho recipe, we need to talk about the most important ingredient. The chips! 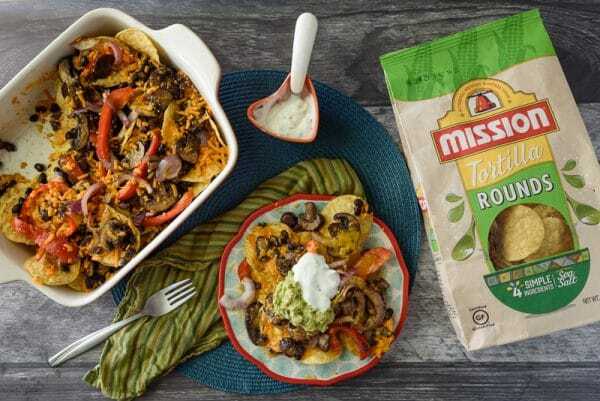 I made these vegan nachos with my absolute favorite – Mission Rounds Tortilla Chips! 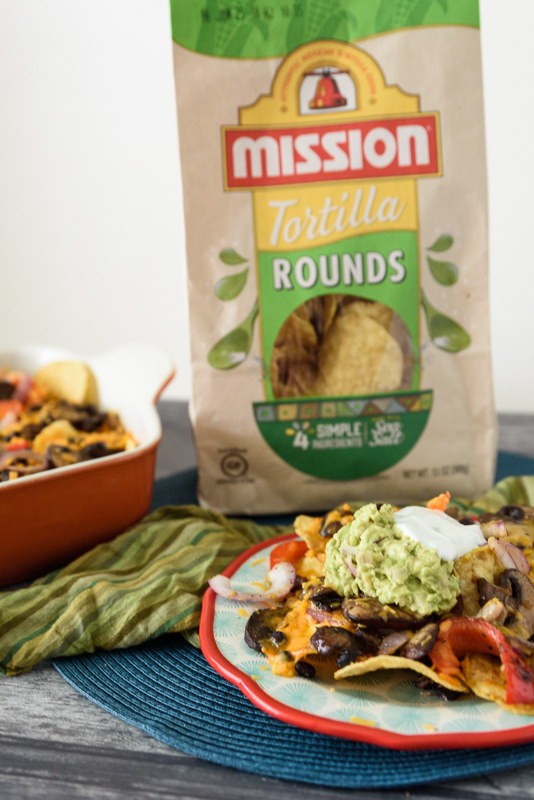 They come in all sorts of varieties, but the Mission Rounds Tortilla Chips, were just right for these nachos. 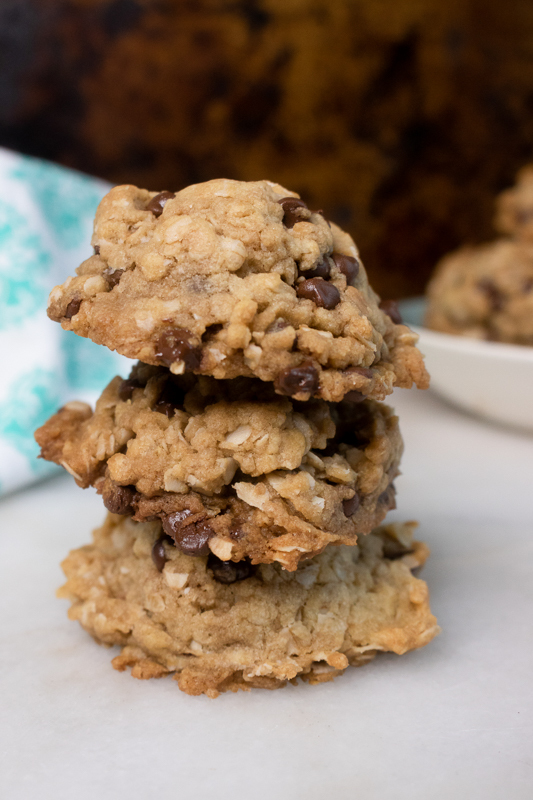 They’re perfectly crunchy, yet strong enough to hold up to tons of toppings! The chips are made with just four simple ingredients – including corn and sea salt. Yum! I’m sure this is why they always taste so fresh and flavorful! 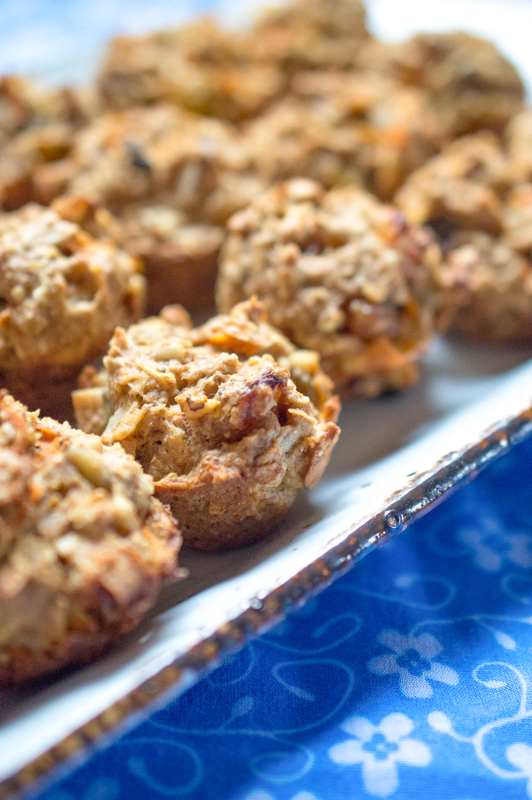 And they’re even gluten-free. 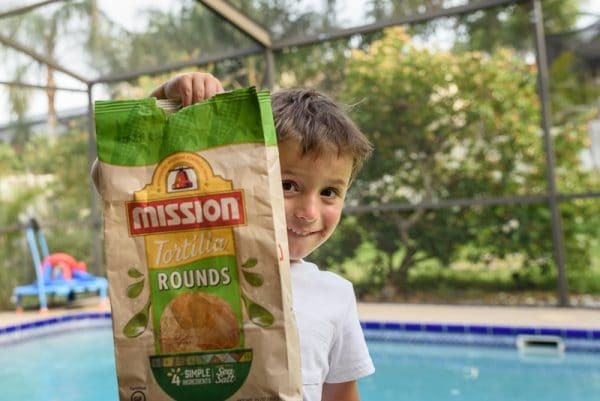 My little one thinks they are just perfect for snacking on their own as well! Let’s Make Loaded Vegan Nachos! 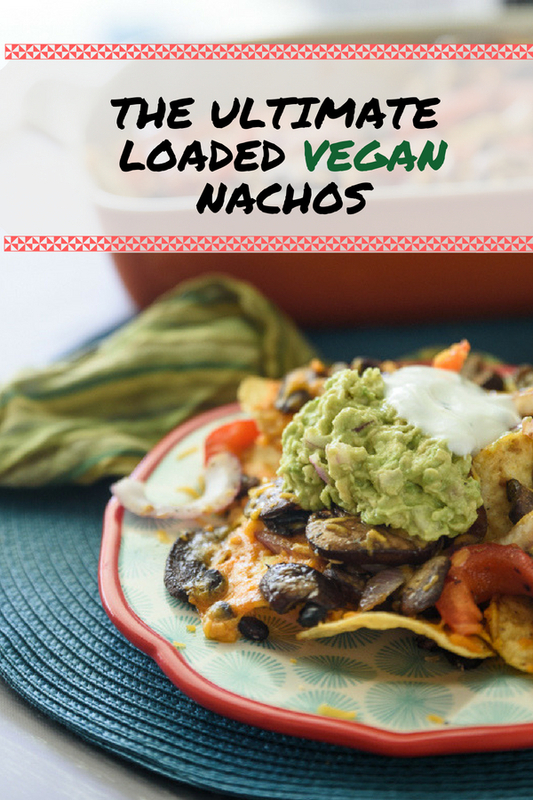 I had so much fun creating the ULTIMATE loaded vegan nachos! Now I know you’re thinking that nachos are ordinary. I mean, who hasn’t made nachos? Your kid could do it, right? Well, not these vegan nachos. 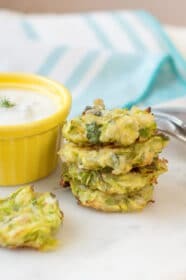 First of all, they’re loaded with fresh, grilled veggies. Grilling the veggies gives them so much more flavor than just cooking on the stovetop. I used bell peppers, red onions, and baby portobello mushrooms. But feel free to load up your nachos with whatever veggies are in season. Just toss them in a bit of olive oil and a few dashes of fajita seasoning, and grill until they are just starting to brown. If you want to make your own fajita seasoning – just use a mix of chili powder, cumin, paprika, cayenne pepper, garlic powder, salt, and pepper. Once the veggies are ready, go ahead and assemble your nachos. Start with the chips, of course! Then layer on black beans, the grilled veggies, and vegan cheese. 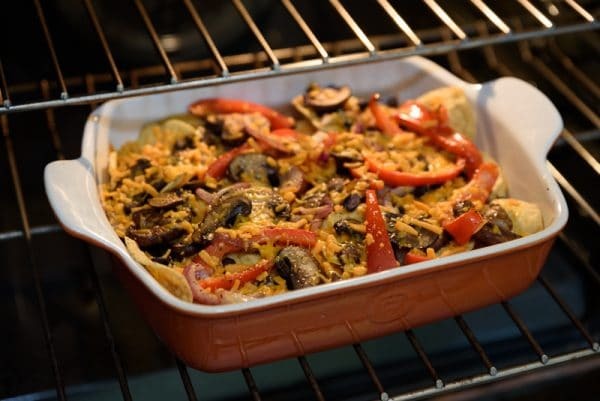 Bake the nachos in the oven for 5-10 minutes, just long enough to melt the cheese and make the chips nice and toasty. While the nachos are cooking, go ahead and work on the toppings! 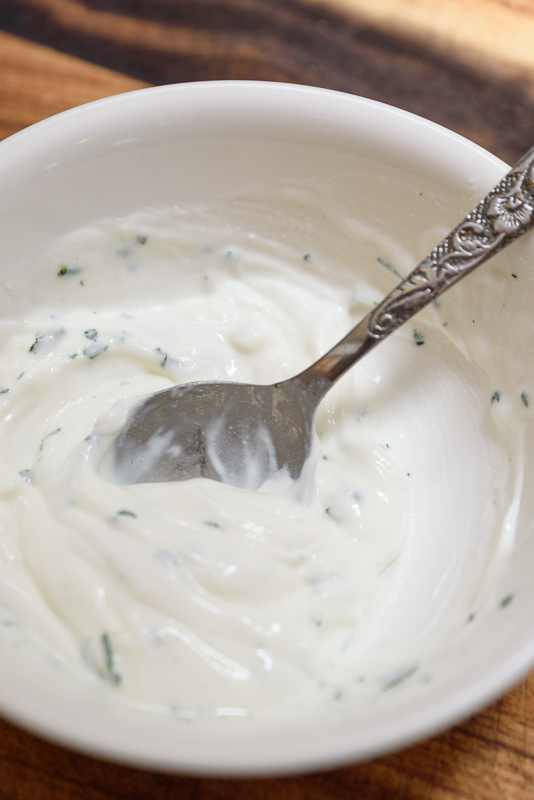 For the cilantro-lime sour cream, you will want to start with a dairy-free sour cream. 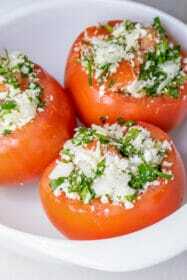 Simply mix in lime juice, lime zest, and a sprinkle of fresh cilantro. Hint – If you can’t find fresh cilantro, the freeze-dried kind will work just as well. You can find both the dairy-free cheese and sour cream at most grocery stores these days. If they’re not in your dairy section – check by the produce. 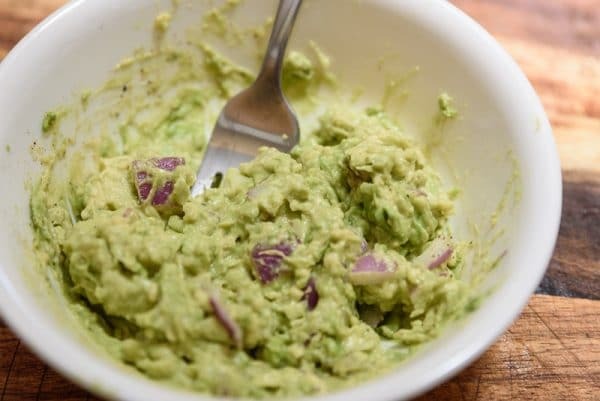 And finally, you can mix up a super simple homemade guacamole. Just peel and pit an avocado, and mash it up with the back of a fork. Add some diced red onion, cilantro, and a squeeze of lime juice. If you like it spicier, you can add a bit of minced jalapeño as well. To serve, just put out the whole tray of nachos and let everyone top their own with the guacamole and sour cream. It’s more fun that way! I hope you give these chips (and the nachos!) a try at your next summer gathering. 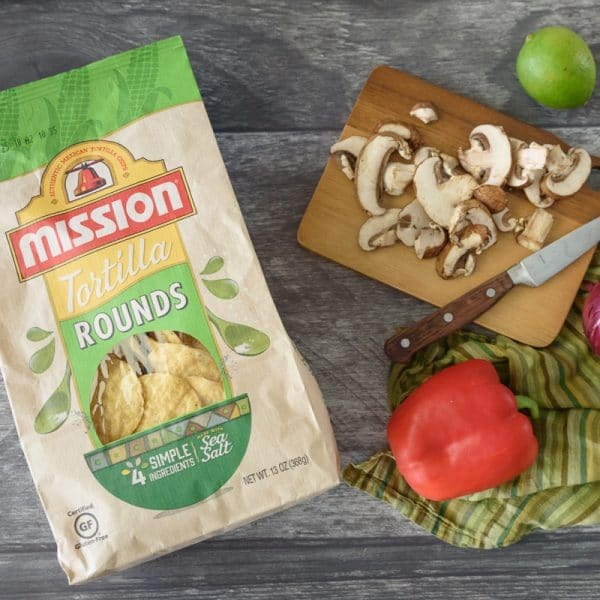 And if you’re looking for even more creative recipes, check out the Mission website for more incredible recipes. They even have a store locator, so you can find them near you. 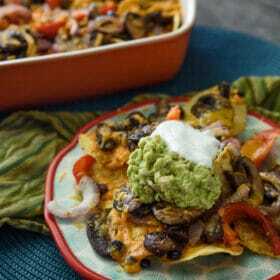 The Ultimate Loaded Vegan Nachos are smothered in black beans, grilled veggies, and dairy-free cheese. And then topped off with an incredible vegan cilantro-lime sour cream and homemade guacamole. 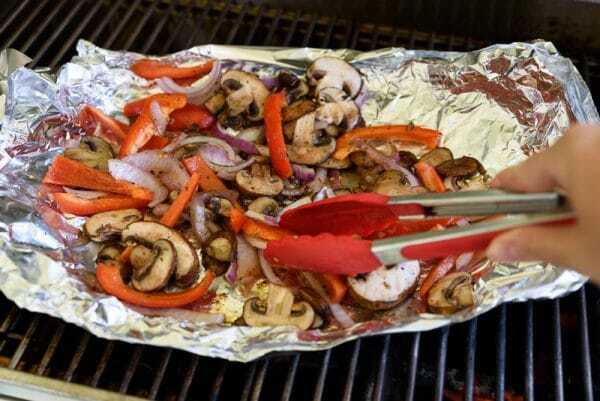 Lay a sheet of aluminum foil out on a cutting board, and spread out the bell pepper slices, mushroom slices, and 2/3 of the onion slices in a single layer. Toss veggies in olive oil and fajita seasoning, coating evenly. Grill veggies over medium-high heat (on the aluminum foil sheet) for 10-12 minutes, or until just softened and starting to brown. Remove from heat. In a large baking dish, spread chips in an even layer. Sprinkle half the cheese on top of the chips. Spread a layer of black beans on top of the cheese. Then, spread the grilled veggies evenly on top. Sprinkle remaining cheese on top of the nachos. Bake in the oven for 5-10 minutes, until cheese is melted. While the nachos are baking, prepare the toppings. Slice the lime in half. 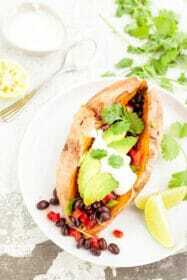 In a small bowl, mix the sour cream with the juice and zest of one lime half. Add the cilantro. Mix well, and set aside. In another small bowl, mash the avocado with the back of a fork. Squeeze in the juice from the other lime half. Dice the remaining red onion, and add to the guacamole. Add salt and pepper to taste. (If using the jalapeño – finely dice and add it here.) Mix well, and set aside. Serve nachos topped with the guacamole and cilantro-lime sour cream. I read your recipe and you can not belief that was awesome . I definitely try this.This is perfect for summer and if you try to eat like this please visit this site – friendsofpho.in. Omgosh! This is a recipe I definitely want to try. It’s looks so delicious. 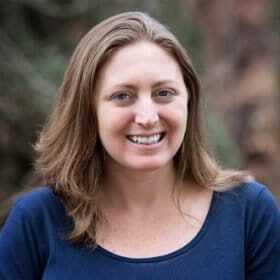 Thank you – I hope you try it out! I always say yes to nachos! Such a great meal everyone would enjoy! Your Nachos look amazing! 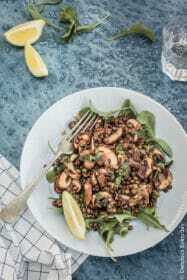 Adore the addition of portobello mushrooms, I never would have thought of that! Pinned! 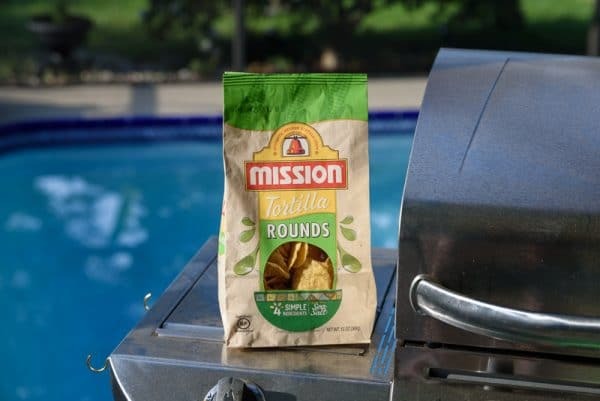 I also love the Mission brand! They are the best chips. 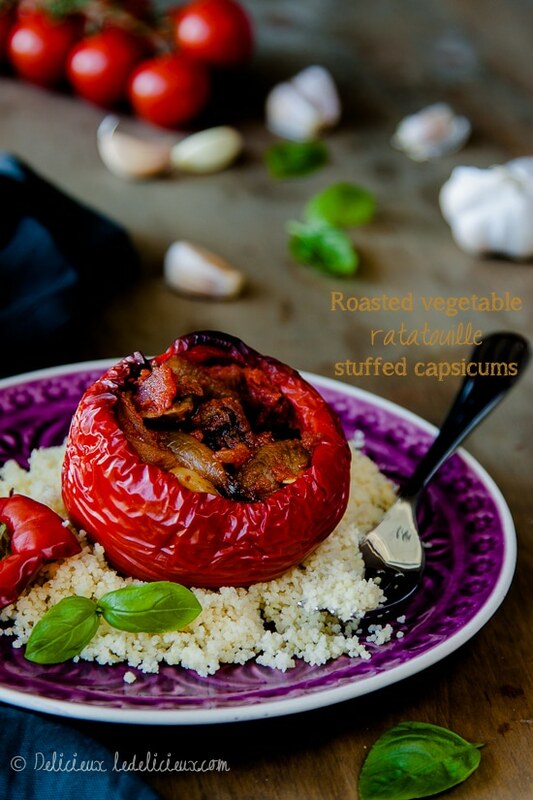 With grilled veggies and everything! YUM! 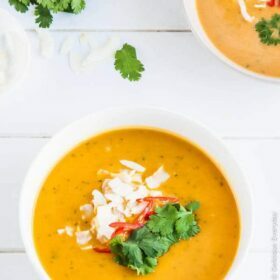 This is a recipe we need to try!